Our online training seminars for garage doors dealers are done live and use an online meeting platform join.me. Participants log in easily and participate in both the audio and video portions of each presentation. 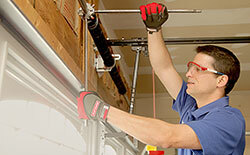 All sessions are done by appointment, exclusively for each client, and are led by a garage door industry professional. These training modules are intended for a wide audience, from those new to the garage door business to those with industry experience. This seminar is an introduction to garage doors. 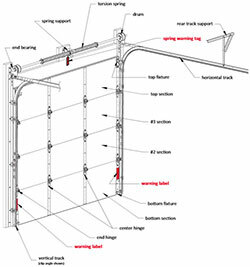 We’ll cover garage door anatomy, history, terminology, brands and the mechanics of how garage doors work. We’ll discuss the latest trends, construction and leading manufacturers. This seminar is perfect for anyone new to the garage door industry, including installer trainees, sales, customer service or administrative personnel. We’ll give you enough information to be able to talk with customers intelligently about their garage doors over the phone or in person. For people new to the garage door industry. 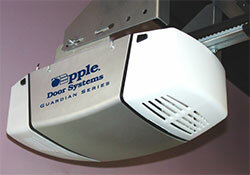 Discuss the basics of residential garage door openers including the history, anatomy, styles and how they work. Included will be the impact of safety systems and UL325 compliance and the latest styles and trends on the market today. This seminar is perfect for anyone new to the garage door industry, including tech trainees, sales, customer service or administrative personnel. An overview of sectional overhead doors including anatomy, history, terminology, applications and brands. Participants are expected to have a basic working knowledge of residential garage doors (recommend that attendees complete Introduction to Garage Doors as a prerequisite). We’ll look closely at the various track styles and modes of operation. This seminar is perfect for anyone new to the commercial side of the garage door industry, including tech trainees, sales, customer service or administrative personnel. An overview of rolling steel doors including anatomy, history, terminology, applications and brands. 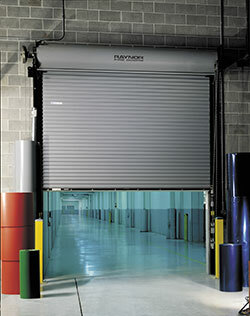 We’ll examine how rolling doors operate and their various applications in the marketplace. 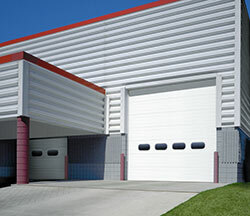 All types of rolling doors will be discussed including service, fire doors, grilles and shutters. This seminar is ideal for people new to the garage door industry including sales, customer service and field techs. What are the elements required to provide excellent repair service as a dealer? In this seminar, we’ll discuss what garage door personnel need to do to make this happen. We’ll examine operational preparedness, including trained and equipped service techs, safety issues, equipment needs, productivity guidelines, service rates and the need for effective communication. Included will be an overview of some of the most common repair problems with garage doors and openers and best practices solutions. The subject matter of this seminar is intended for all garage door dealer personnel, including owners, managers, customer service people, sales, field techs or anyone tasked with providing repair service for customers’ garage doors. Want to improve your bottom line while providing better service to your customers? There is no better way than having an effective planned maintenance program. In this seminar we will discuss how to start a program for selling and maintaining planned maintenance contracts for your commercial and residential customers. All garage doors need maintenance but most door dealers fail to explain this to their customers and simply wait for them to call when something breaks. By offering a PM program, you take ownership of the customer's garage door and proactively provide the maintenance annually (or as needed). The best part is that you can schedule it to fill in gaps in your work schedule. PM programs are very lucrative and when done properly move your customer service to a new level. We'll discuss the steps needed to get your plan going and how to grow sales in this segment. Turnover of employees is a big expense for any door dealer. Finding and keeping good employees is the single greatest concern for companies today. 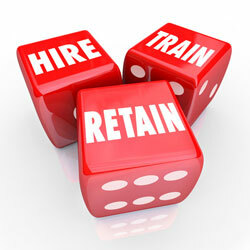 In this seminar we discuss various recruiting methods to attract and hire better qualified personnel. We cover using online job boards, social media and other online advertising methods to recruit new talent. We also discuss using unconventional recruiting methods to find good people. Then we'll discuss the importance of having a training program for installers, sales people and other key positions. We explain how investing in your employees can pay big dividends. We will examine current industry training opportunities as well as what it takes to create your own, in-house training program. Finally we will discuss strategies needed to retain top producers in order to maximize the dealer's investment. This seminar is for management personnel or company owners who want to reduce turnover and field top performers on a more consistent basis. The "Three Legged Stool" is a term used to describe how many successful garage door dealerships are organized and managed. These companies are organized in three basic departments that include sales, operations and finance. 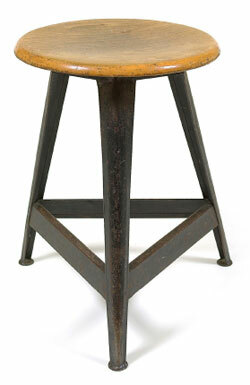 All three are supported by the company's owner or management team. This powerful 4 part seminar is for business owners and explores the key organizational strategies needed to build a team for a top garage door dealership. Industry veterans Dan and Sandy Apple will share the four essential building blocks needed to grow a profitable business. Due to the amount of content, we have separated the seminar into four 90 minute segments. Nothing happens in any business until something is sold. In this segment we cover the keys to building a successful sales department for your business. We will discuss the critical need for creating and promoting your business' brand to position your business for success. Next we explore what it takes to build a strong sales team for any size dealership. Finally we examine the steps needed to develop your marketing plan. We look at establishing your product mix and its impact on profit, developing your product line up and setting your sales approach to be one of selling value, not price. The devil is in the details. In business we can say the money is in the details, financial details that is. In this segment Sandy Apple, our CPA, will share an overview of what financial controls are needed to lead your organization to a more profitable bottom line. She will discuss the systems and organization needed to allow your team to focus on profits to help you maximize your return on investment. These include basic accounting systems such as accounts receivable, payables, insurance, general ledger and payroll. We also cover the importance of having a sound software system for keeping your financial information current and using it to more effectively manage your business. The finance department is critical to the success of any business. The operations department is the hub of any successful door dealership. It's where the work gets done. It also manages the majority of the company's personnel. This segment will focus on building an operations infrastructure that focuses on profitability. Discussions will include creating better communications by managing data better, building a superior service department and managing field operations through better technology. We will explain how the five areas of operations, scheduling, field techs, material management, billing and customer service all work together to keep customers coming back while maximizing profits. As the owner it is your job to lead. Essentially, you have to set the vision for your company's success and then convince your team to make it happen. In this final segment Dan will discuss the top 5 things needed to lead your team to the next level. Topics include setting the standard, letting your entrepreneurial freak flag fly, building the 'A' team, building your brand, taking risks and contributing to the world around you. We will examine what it takes to be perceived as a coach rather than a manager. Finally we will discuss Dan's 'give up to go up' strategy in order to leverage talents and leadership skills of key team members by delegating responsibilities so they can take credit for their contributions and in turn you and your business prosper. Never had any formal sales training? This seminar is for garage door personnel who are new to selling, and it covers the fundamentals of selling as a 7-step process. We introduce participants to the various residential garage doors on the market today with a focus on product features and benefits. This seminar is perfect for anyone new to the garage door industry, including tech trainees, sales, customer service or administrative personnel. Participants are expected to have a basic working knowledge of residential garage doors (recommend that attendees complete Introduction to Garage Doors as a prerequisite). Any idiot can sell price! This seminar focuses on how professional sales people sell value, not price. Learn how to overcome price objections to win more sales at a higher price. We’ll discuss the process of making presentations versus just giving quotes. There will be a role-play exercise to demonstrate how the process works. Completing course #S1 - Garage Doors 102 first would be helpful. Overview of how to calculate selling prices for garage door dealers. 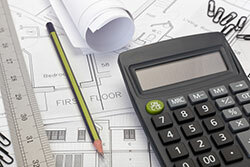 Residential and commercial estimating will be covered. Participants will be asked to calculate selling prices for 2 different examples to better understand the pricing for a profit strategy employed by successful door dealers. We will discuss margin and markup methods of estimating and the impact of each on profit. This seminar is for sales, customer service, accounting or management personnel. In an industry that is so focused on price, how can garage door dealers set themselves apart and win customers’ loyalty and respect for life? T. Scott Gross, a previous keynote speaker for the International Door Association, says it requires giving world-class, positively outrageous service to customers. Getting them to say “wow” when they are blown away by your level of service to them is the key. If you are a garage door dealer, you are in the service business first. Solving problems and fixing broken doors always should take priority. But service extends to all facets of the business, from the time you answer the phone until the payment is collected. It involves every employee. 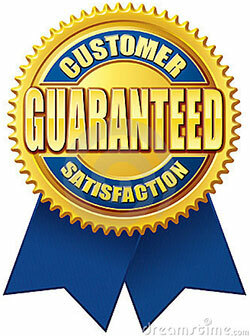 We'll examine what it takes to deliver “positively outrageous service” in the garage door business. Want to increase sales and your bottom line? 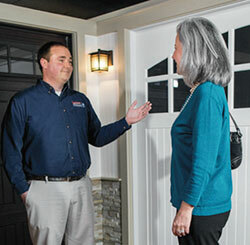 Garage door dealers would be wise to consider adding residential entry doors to their product line. Discussion will include entry doors’ anatomy, materials, construction, styles, glass types and applications. We’ll examine what customers are looking for in custom entry doors, patio doors, storm doors and pet doors and how these high-margin products can boost your bottom line. 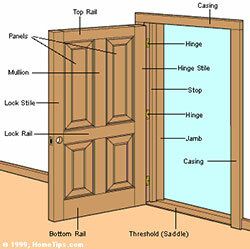 A brief discussion of techniques required for successfully selling custom entry doors will also be covered. This seminar is intended for owners, sales people and customer service personnel.